The Role of Nuclear Medicine In Thyroid Disease | Crank It! Warren H. Moore, M.D., FACP, FACC, FACNM: Dr. Moore received his medical training at the University of North Carolina in Chapel Hill, the Medical University of South Carolina in Charleston, and Baylor College of Medicine in Houston and is certified by the American Boards of Internal Medicine and of Nuclear Medicine. He is Chief of the Nuclear Medicine Service at St. Luke’s Episcopal Hospital and at Texas Children’s Hospital and Chief of the Nuclear Medicine Section of the Dept. of Radiology at Baylor College of Medicine. He practices full time diagnostic and therapeutic nuclear medicine. His special interests include thyroid disease, cardiovascular imaging, and pediatric nuclear medicine. Q: What is Nuclear Medicine? A: Nuclear Medicine is the specialty branch of medicine which uses stable and unstable (radioactive) elements to diagnose and treat diseases. Nuclear Medicine’s role is usually to evaluate the function of an organ (rather than its structure, which is more often done with tests like ultrasonography, or the type of cells present, which is done with a cytological exam, biopsy, or surgery). Nuclear Medicine procedures include simple blood tests, scans (pictures) of organs, and measurements of how organs take up certain materials called tracers. Nuclear Medicine specialists also use radioactive materials in the treatment of specific types of benign and malignant diseases such as hyperthyroidism and tumors. Q: When would a person with thyroid disease see a nuclear medicine specialist? A: Patients might see a nuclear medicine specialist for any of a number of reasons. A common situation is a patient with known or suspected overactivity of the thyroid gland. A thyroid scan and uptake test can help to determine whether radioactive iodine would be useful in treating this condition (it usually is). If the diagnostic test shows the proper amount of uptake after a low dose of the tracer, the specialist may administer a higher dose of iodine-131, a specific form of radiation used for treatment purposes. Similarly, patients with some types of thyroid cancer may have scans, and may be treated with much higher doses of iodine after they have had surgery as the first part of their cancer treatment. 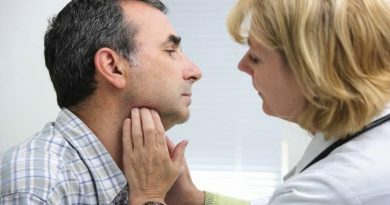 Still other patients may have scans to help their primary physicians determine exactly what type of condition may be responsible for a nodule (lump) in the thyroid gland or for an underactive gland. After the thyroid tests are performed, the nuclear medicine specialist and the patient’s physician, who may be a surgeon, an endocrinologist, a gynecologist, or an internist or family practitioner can discuss the next step in evaluation or treatment. Q: How do patients receive the radioactive materials? A: Depending on the exact test to be performed, the radioactive material may be injected into a vein (similar to having a imple blood test drawn) or more often taken orally. 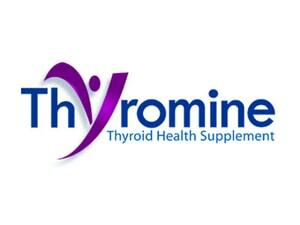 All radioactive treatments for thyroid disease are given orally, either as a capsule or a liquid. Q: How should a patient prepare for a Nuclear Medicine thyroid procedure? A: The most important preparation for a thyroid study is to be sure that medications which affect the thyroid gland are at the proper level to best identify the problem for which the patient is being tested. This frequently means that the patient should be taken off thyroid hormone medications for a period of time (two to six weeks) before the scan. 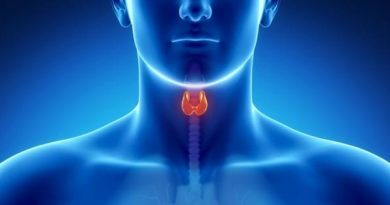 In other circumstances, if the goal is to see how the thyroid gland functions on the medication, the patient must be sure that he/she is taking the medication as prescribed by the doctor. If the patient is not properly prepared, the tests will not provide the appropriate answers to the questions being asked. Always consult with the doctor who ordered the thyroid test to see whether your medications need to be altered prior to having an isotope test. Q: What is the difference between Nuclear Medicine and Radiation Therapy? A: This is a tricky question because some types of Nuclear Medicine treatments are technically a form of radiation therapy. However, the type of procedures used in Nuclear Medicine for treating thyroid problems are very different from those which most people associate with “radiation therapy.” Nuclear Medicine does not use the big machines required in many types of radiation treatments. Nuclear Medicine takes advantage of the natural function of cells to have the tracer concentrated in certain areas such as the thyroid gland. This limits the amount of radiation effect given to other organs and makes side effects such as nausea and fatigue uncommon. Loss of hair which is commonly seen with cancer chemotherapy and some radiation therapy is not seen with Nuclear Medicine treatments of thyroid disease. Q: Is the radiation from Nuclear Medicine tests dangerous? A: There are several different radioactive materials (isotopes) which can be used for diagnostic tests. Most modern testing uses isotopes which have levels of radiation which have never been shown to cause ill effects. The form of radioactive iodine used for treating hyperthyroidism or thyroid cancer can cause side effects, but serious effects are very uncommon when proper procedures are followed. The primary precaution is that pregnant women should never receive radioiodine therapy directly and should avoid some of the forms of diagnostic tests. Otherwise tracer tests are generally safe for patients and those around them if some simple common sense precautions, such as hand washing, are followed.